The strolling gardner and Grow Your Own boys had a great time in Carlisle. 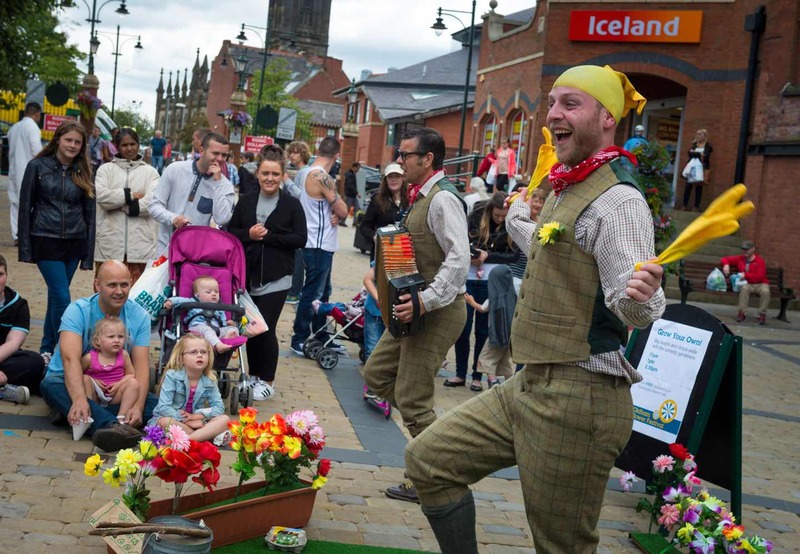 Hit badly by the floods Carlisle has bounced back and is open for business and for fun. Highlight for the gardening show was the girl who thoroughly ‘destruction tested’ our fresh juggling egg on her brothers head. No matter how many times you use a volunteer you never know exactly how they are going to react!! She thought it was funny, the crowd thought it was hilarious. He seemed resigned to his fate and laughed along after a short stunned silence!! Thanks to Gill and her fab team for making Dee, Campbell and Dave so welcome and for giving Carlisle something to smile about.